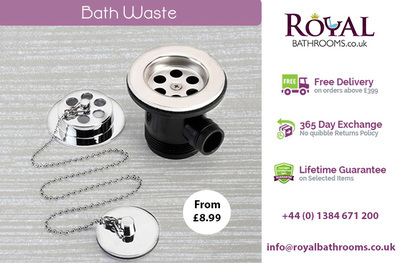 Bath wastes are of so many types and are important part of bath accessories. Royal bathrooms offer different styles of bath wastes such as pop up bath wastes, exposed bath wastes, and also give style to your bathrooms. Some bath wastes designed under Royal bathrooms are easy clean click clack bath, Cruze bath pop up waste and overflow, square modern chrome click.